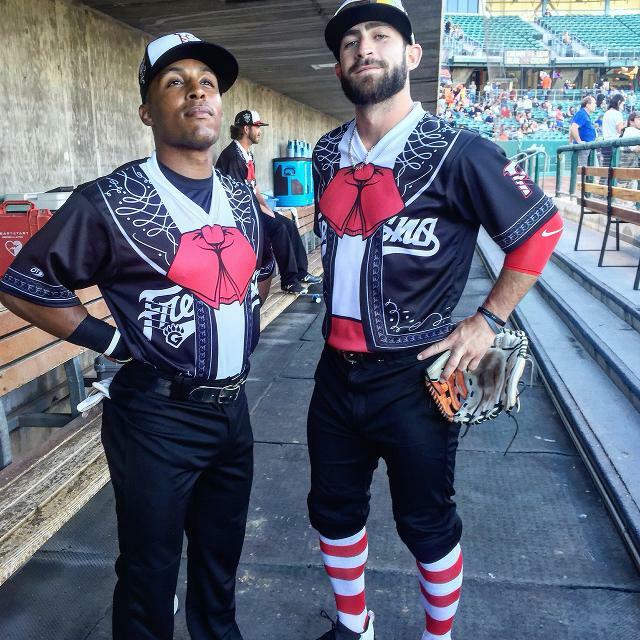 This cap is certainly eye-catching and is a pretty solid take on the Three Amigos traditional Mexican mariachi costumes. It’s rare to find a cap with so much embroidery work. It’s also rare to find a cap with added details to the crown such as the red sash. The amount of embroidery found on this cap is impressive. The rear of the cap lacks the usual MiLB logo and is instead further embroidered with more flourishes. The underbrim and sweatband are the usual black/black. 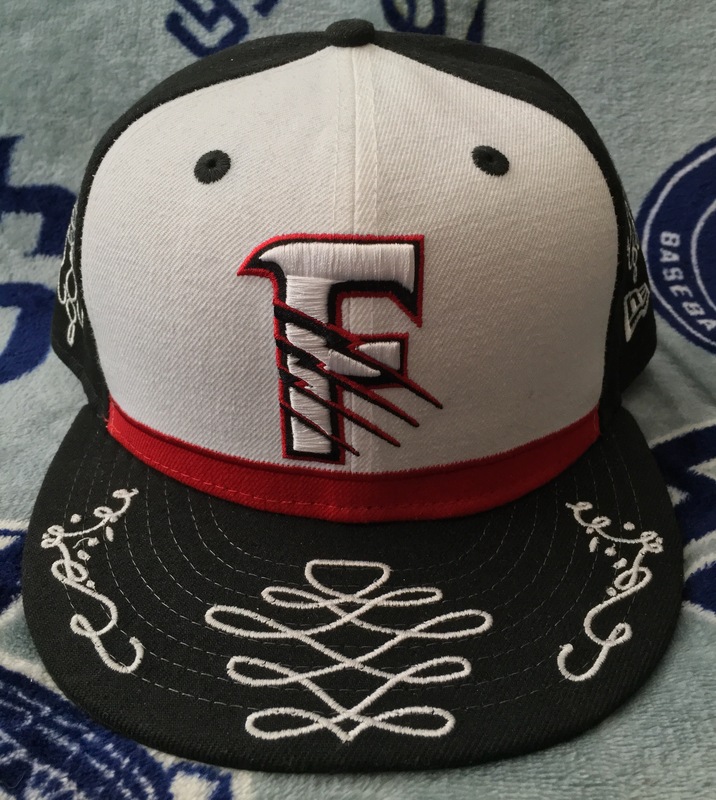 When looking at the embroidery underneath it’s notable that the flourishes were added after the cap was stitched and constructed; the embroidery was done over the 59Fifty taping at the rear. Generally embroidery is done prior to the taping being stitched which results in a cleaner interior look. It’s immaterial to the outer look of the cap otherwise; just something a collector notices. However, embroidery done through the taping (or buckram) could also be indicative of a fake cap or one with embroidery done unscrupulously post-production. Make no mistake: this cap is legit. If you need a little Three Amigos in your collection, you may have some luck via Lids if you wear a smaller size.